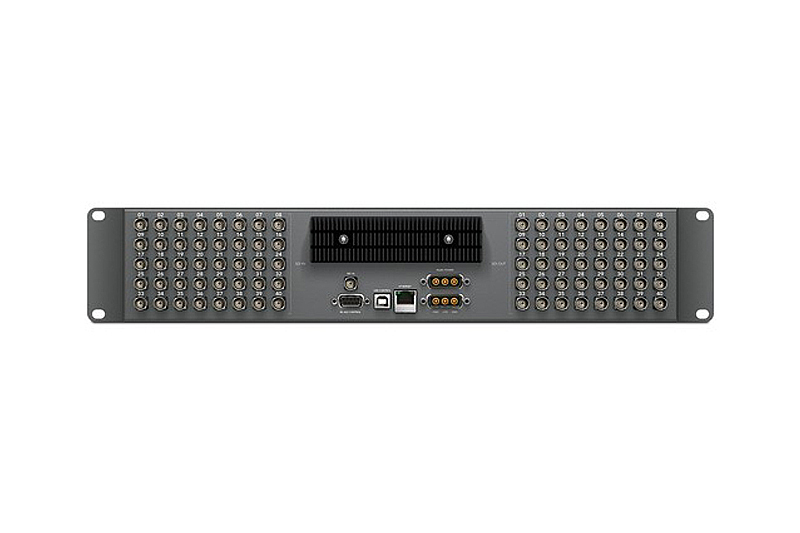 The Blackmagic Design Compact Videohub is a broadcast routing switcher that allows connections and switching between all your video equipment via a desktop software interface. 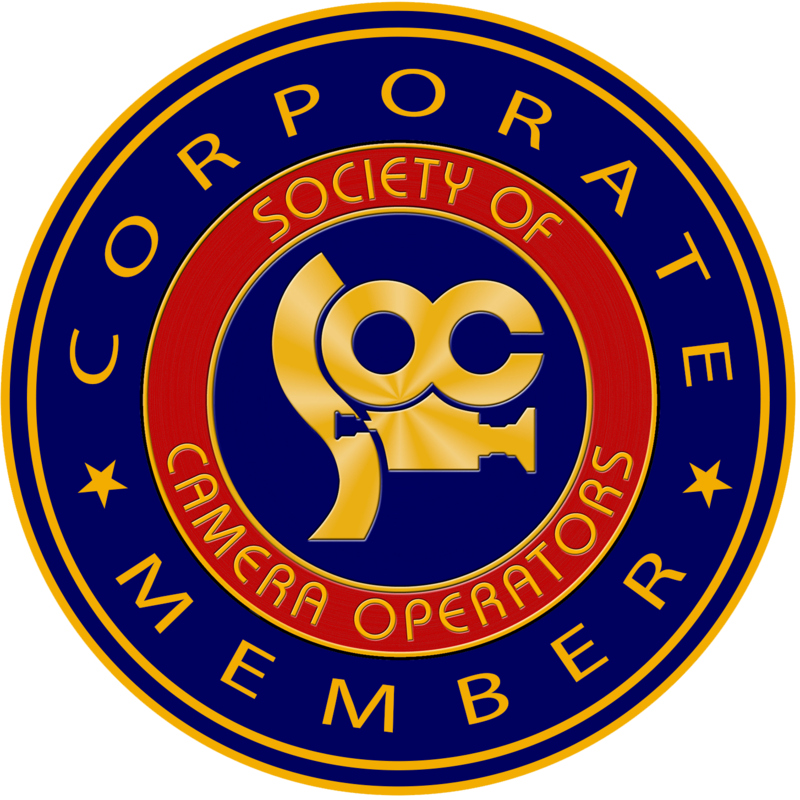 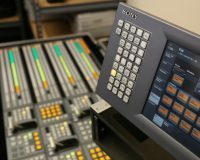 You are provided with 40 x 40 SDI routing with automatic switching between video connections and re-clocking of SDI signals to adapt to long cable lengths. 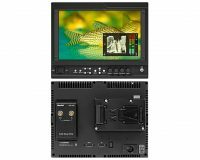 Inclusion of redundant power supplies, power fail protection, and a unified reliable single PCB construction allows you to connect even the most distant equipment together via the Compact Videohub. 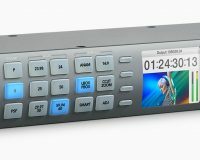 Incorporating the capability to handle 3 GB/s SDI connections, the Compact Videohub supports double the data rate as compared to normal HD-SDI, thus allowing you to undertake real time 2048 x 1556 feature film editing. 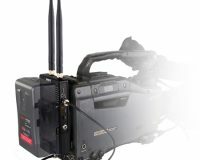 You can use the videohub for standard definition and high definition equipment, and ensure future compatibility via the integration of 3 GB/s SDI feature owing to its capability to handle mixed SD, HD, and 3 GB/s SDI connections simultaneously. 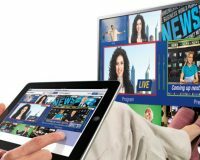 You can use the videohub for SD, HD, or 2K formats in 4:4:4 or 4:2:2 via a single BNC cable. 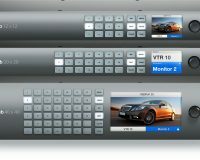 You are also provided with built-in Ethernet, USB, and Serial Router Control interfaces. 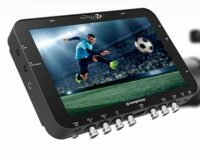 The Compact Videohub comes with Mac/Windows compatible icon-based software that allows you to effortlessly control and switch video connections. 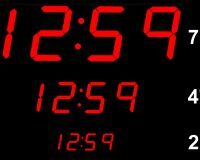 Configuration: Router – Use either RJ45 Ethernet or USB 2.0 high speed interface shared over IP network. 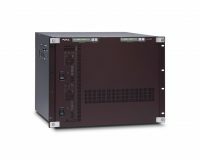 RS-422: 1 x input for controlling router crosspoint switching. 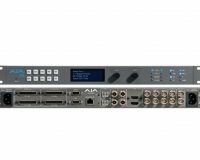 Re-clocking: On all SDI outputs, auto switching between standard definition, high definition or 3 Gb/s SDI video.